Need a change of pace? Looking for something different to eat as part of your weekly meal prep? Need some new standby veggie options? 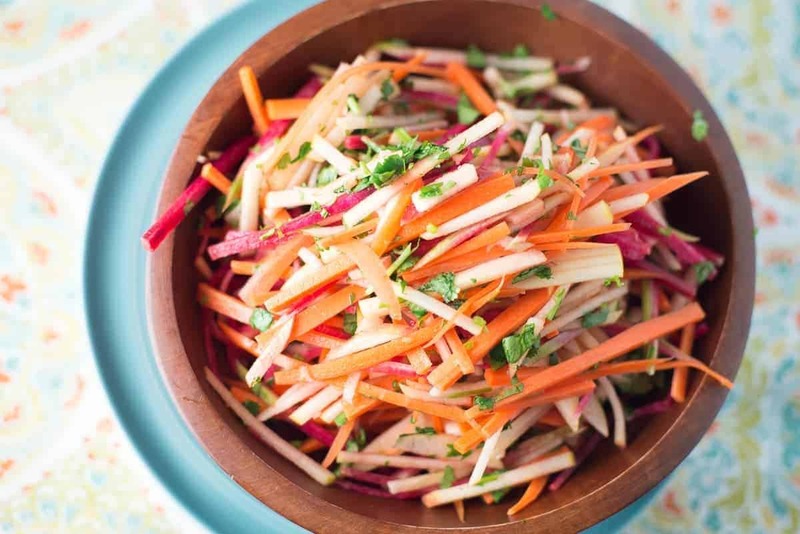 Carrot & Apple Matchstick Salad checks all the boxes! It travels well – especially to work for lunch. It lasts all week in the fridge. In fact, it is one of those dishes that gets better as it sits. It is full of crunchy, delicious, gratification! This salad is great on its own or when paired with spicy meat. 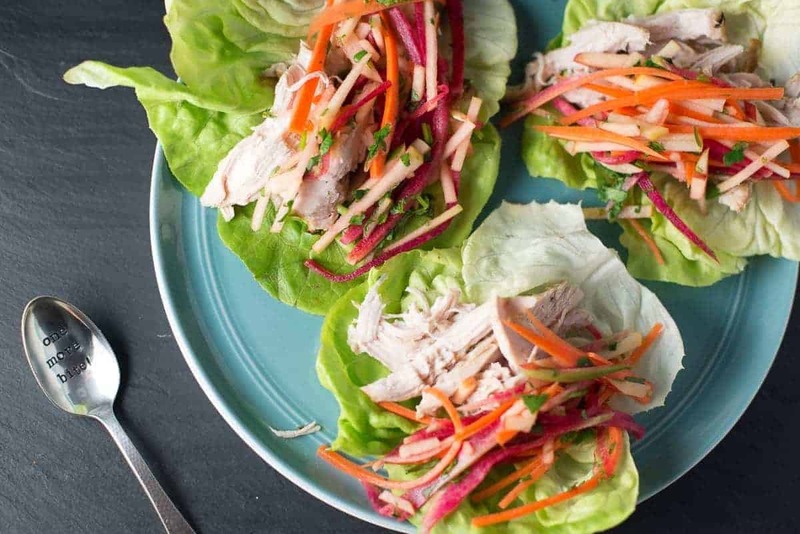 It’s the perfect complement to Lemongrass Chicken Lettuce Wraps! If you’re not the type to find julienne-ing veggies while listening to some chill tunes to be relaxing, I recommend using a mandolin slicer. Want a steady stream of fresh ideas? Make sure to follow us on Instagram and Facebook. Better yet, sign up to get our twice weekly email digests AND special freebies delivered right to your in box. Our members-only content has started rolling out so don’t miss out! In the meantime keep on sharing the food ❤ and we will too!